Live Nation and the Crown Publishing Group, a division of Penguin Random House, announced the fall 2018 dates for Michelle Obama’s live U.S. book tour events in support of her highly anticipated memoir, BECOMING, to include Little Caesars Arena on Tuesday, December 11 at 8 p.m. Produced by Live Nation, the 10-city U.S. tour will kick off in Mrs. Obama’s home town of Chicago on Tuesday, November 13, and will feature intimate and honest conversations between Mrs. Obama and a selection of to-be-announced moderators, reflective of the extraordinary stories shared in the wide-ranging chapters of her deeply personal book. Tickets will go on sale Friday, September 21 at 10 a.m. and can be purchased at BecomingMichelleObama.com, 313Presents.com, Live Nation.com, Little Caesars Arena XFINITY box office and Ticketmaster.com. To charge tickets by phone, call (800) 745-3000. To ensure tickets get in to the hands of fans and not scalpers or bots, the tour will utilize Ticketmaster’s Verified Fan® platform. Fans can register now through Tuesday, September 18 at 10 p.m. PT HERE for free access to the Ticketmaster Verified Fan® presale, which will allow registered fans to purchase tickets before the general public on Thursday, September 20 from 10 a.m. local time to 10 p.m. local time. A limited number of VIP meet and greet packages with former First Lady Michelle Obama will be available at Ticketmaster.com. Simultaneous to this announcement, Mrs. Obama released a video over her social media channels, watch HERE. Attendees will hear firsthand Mrs. Obama’s intimate reflections on the experiences and events, both public and private, that have shaped her, from her childhood on the South Side of Chicago to her years as an executive balancing the demands of motherhood and work, to her years spent at the most famous address in the world. 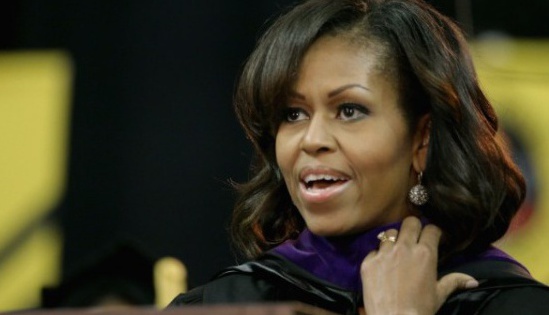 Michelle Obama has emerged as one of the most iconic and compelling women of our era. As First Lady of the United States of America – the first African-American to serve in that role – she helped create the most welcoming and inclusive White House in history, while also establishing herself as a powerful advocate for women and girls in the U.S. and around the world. Michelle Obama and Live Nation will also be donating 10 percent of every show’s tickets to various organizations including, but not limited to, local charities, schools, and community groups in each city the tour visits. Those fans will receive free admission to the tour stop in their city.